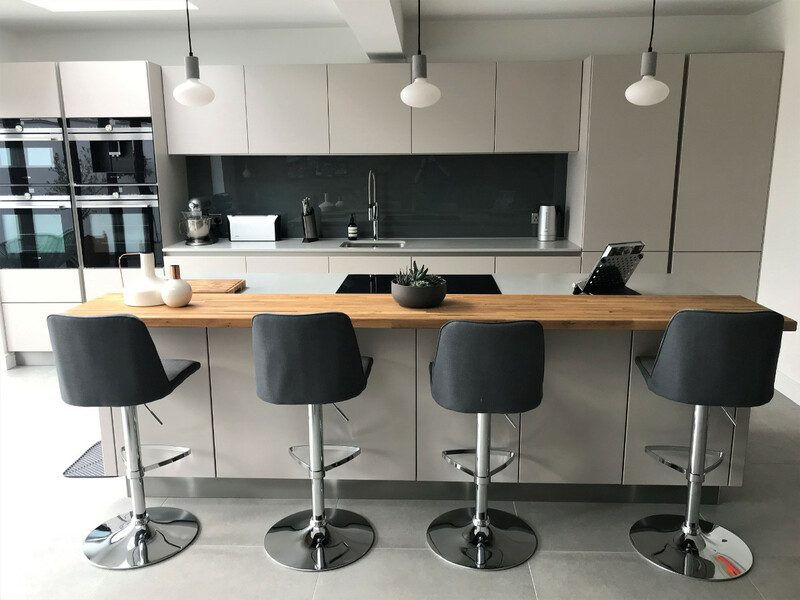 From our Next125 range, thank you to Inka Goehring for sending us this stunning photo review of her new kitchen. 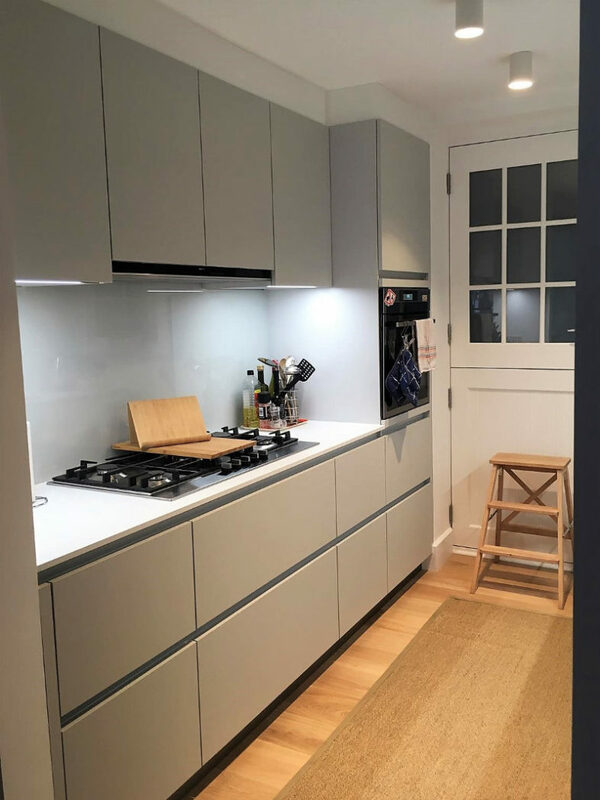 A two-tone design featuring Crystal white satin lacquer finish doors combined with Indigo blue satin lacquer for the tall units but also on 2 angled base units. 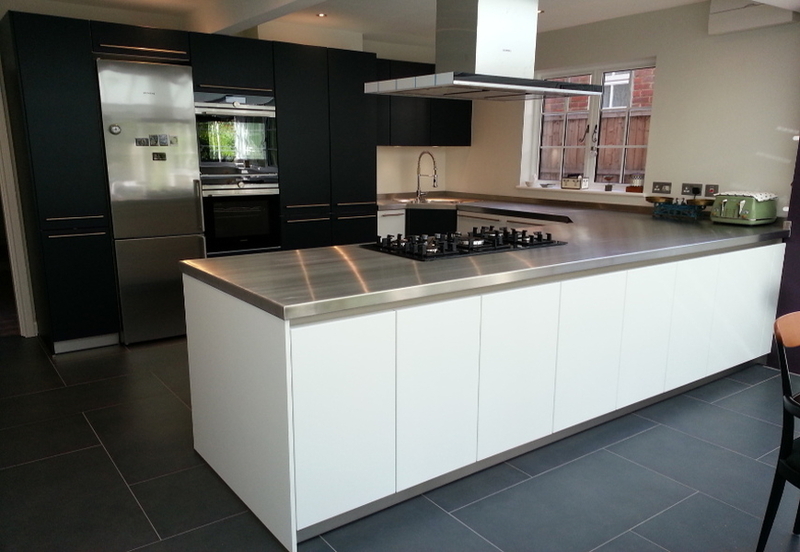 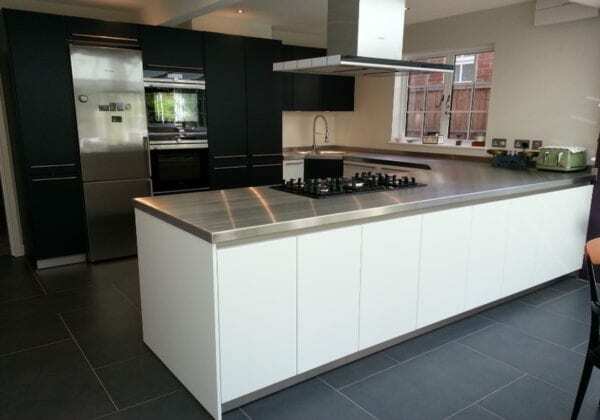 The stainless steel worktops compliment the units well and adds another dimension to the kitchen.